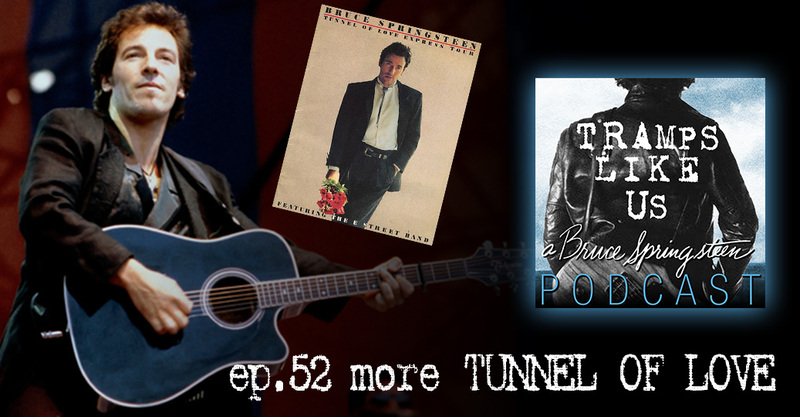 Tunnel Of Love month continues with another episode discussing the album, the music, the band, the era – 1987/1988 Springsteen. Jesse Jackson of Set Lusting Bruce podcast joins me to rank the songs off Tunnel Of Love, least favourite to favourite. Singer-songwriter Matt McCormack discusses his appreciation of Tunnel Of Love and recent Bruce cover. Finally Springsteen fan and writer Jay Lustig talks with me about the 1988 Tunnel Of Love Express tour.